So this post is kind of personal, so bare with me. Nonetheless, I am a natural thinker and so every situation I dissect and look to see what in the world the Lord is trying to teach me. That may sound a little cliché, but it is so very true. Last year especially, I was taught that in situations you don’t like and or understand don’t ask God why something is happening, but rather what it is He wants to show you and or do in, through, or for you. It inevitably changed my perception on so many things; my perception on life has matured and reinforced my mantel of purpose. Needless to say, this current situation has made me feel like a caged bird. Although it’s already enough drama, I feel like I am walking on eggshells, even when I sing. In addition I want to write and express myself, but that is put under a microscope just as much. One thing, I am definitely realizing about myself is that mercy is not my spiritual gift. I mean I will be sympathetic and compassionate, but after a while people need a reality check and a push forward. That’s just me. Yet still, as much as I want to be me, I can’t. 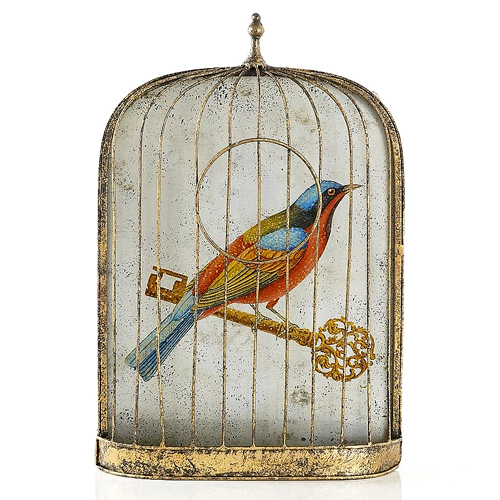 Like a caged bird, I feel locked up in my emotions and locked away from my passion, to spare others’ sensitivity. Three quotes come to mind. This first one, I heard my dad preach in a sermon some time ago: “the goal in life is not to find your freedom, but to find your master, and in that you will discover your freedom.” So, when I look around I must ask who am I truly let govern me? Myself? The opinions of others? Or Christ? The most freedom I found is in Christ; He created me, so he knows me and what I need and even my deepest desires. My younger sister blew my mind last night in our conversation when she said this, “freedom only comes from captivity.” This means that when I am locked up, one, it’s only for a season. Two, the glory will be greater and more effective when I come out on the other side. Freedom will be so sweet, in knowing what it means to be captive. The last is from Dr. Seuss: “Be you who are and say what you feel. Because those who mind don’t matter, and those who matter don’t mind.” This reminds me to just be myself, and that those who need to be there will, and I won’t have to change who I am to accommodate someone else. And sidebar: truth hurts. Yet, at the same time, I consistently question and monitor my own motives and attitude, because God can’t be glorified if I don’t have a mind of Christ and am not focused on Him. If my mind and spirit aren’t right, I can inadvertently compromise my testimony. So all in all, if you feel like a caged bird, like I have lately, don’t be discouraged. God has a purpose and a plan, that He is setting up in the heavenly realm. He created you in such a way that some people just don’t understand, and can’t comprehend. But, know what God’s purpose is for you and stick to it. His opinion is the only one that matters. When He is ready, your time will come and the cage door will open, and the world will come to know His name by your name, which is why this caged bird sings: she has a purpose, and a gift that God calls irrevocable. This post has really helped me with something – thanks. Absolutely, I am so glad God used it. Be blessed and continue to live on purpose. Thank you so much, I appreciate that ☺. And to answer your question, all this is my work. ☺ Be encouraged!